The Rhine, Main and Danube once passed through principalities and dynasties that engaged in endless struggles for control of those tilling the fertile banks. However, so many of the villages along these great rivers have lived a charmed life, and remain as beautiful and engaging as ever. 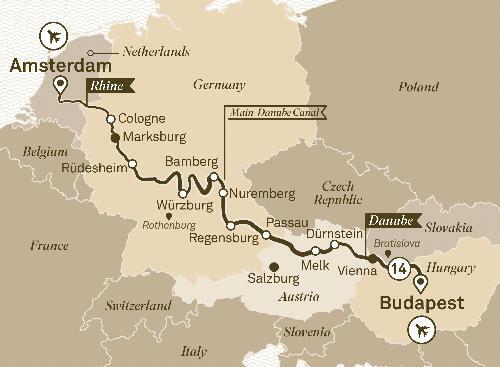 Along these old trade routes you’ll encounter all the very best that Europe has to offer.